Langkawi Taxis are governed by the Land Public Transport Commission, and they are readily available everywhere on the island. Some taxi drivers have good command of English and they are quite useful when it comes to identifying places of interest. If you’re lucky, you could even get a great storyteller for a driver, and let him enlighten you with interesting myths and legends of Langkawi. 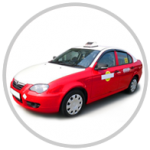 There are four types of taxis in Langkawi in terms of seating capacity – taxis that seat up to 4, 6, 8 or even 11. The standard rates for travelling to Kuah Town in a standard 4-seater taxi are RM6 from the Jetty, and RM24 from the Airport. Taxis are not metered but they operate based on a fixed rate card that they carry with them. You can just pick up a copy when you land at the airport. Please check the rate card when your fare is quoted, but keep in mind extra charges can be levied if you want to go to unlisted, remote areas or if you ask the driver to wait while you stop to shop. With an additional charge of RM2, you can also get your hotel or resort’s reception staff to arrange a taxi hire for you, but do take note that a 50% fare increase will also be charged for taxi hires after midnight. But afterwards, they did something uncommon. They decided to solve the problem. They started us, Grab (then MyTeksi). Pretty soon, our simple goal had transformed into something bigger – to make Southeast Asia a better place. But you are more than just a “number” to us. Like you, we too are Malaysians, Singaporeans, Indonesians, Thais, Vietnamese, Cambodians, Filipinos and Myanmar people. You are our neighbours. Friends. Family. And whatever we do, it’s to drive all of us … Forward Together. Car rentals are reasonably priced on Langkawi Island. Pick and choose the rent and if you’re in luck, rents can go as low as RM40 per day during the off-peak season. Combine that with a fairly laid-back traffic, clear road signage and good road conditions, driving in Langkawi can be an adventure on its own. Please make sure your driver’s licence and insurance policies are up to date. Visitors who can use their existing driver’s licences in Malaysia are those from any country in the Association of South East Asian Nations (ASEAN). It is advised to get a car from a licensed operator and make sure the car has a valid roadtax. For visitors from countries other than the ones listed above, it is recommended that you apply in advance for an English International Driving Licence from your respective country, which should be enough for a 3-month stay*. If you’re planning to stay and drive for more than 3 months, you should apply for a valid Malaysian driving licence from the Malaysian Road Transport Department. *Please consult your nearest Malaysian Embassy to confirm this arrangement, as regulations may change over time. Motorcycles of the low-powered variety are also available for rent – with prices averaging around RM20 per day during the off-peak season. They are still cheaper than renting a car and so much more fun. If you’re into the high-powered superbikes of more than 150cc, you can also rent one of those for about RM500 per day. Do take note, that pricing may vary based on the condition of the motorcycle. 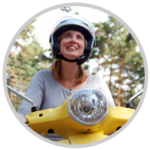 Please make sure that your driver’s licence and insurance policies are up to date before renting a motorcycle. Be aware and prepare your international driving licence in advance from your respective country for there are different types of motorcycle licence in Malaysia depending on the power displacement of bikes you’re riding* – B licences are licences for all type of motorcycles, B1 licences are for motorcycles not exceeding 500cc and B2 licences are for motorcycles not exceeding 250cc. Remember to always wear a helmet as it is not only required by Malaysian law but also a common safety measure. Riding a bike is not that uncommon in Langkawi. 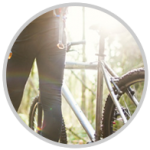 Take up one of the many cycling tour packages offered by operators or you can just rent one from the hotel you’re staying in. Enjoy a nice ride through the countryside or to the nearby fishing villages and cycle between old traditional Malay rustic houses. Wherever you end up, find surprising beauty in places normally inaccessible by anything other than a simple bike.